• A more generous and longer lasting fit than other similar styles on the market. Size 1 fits from 7 - 18lbs, and Size 2 fits from 18 - 35lbs. All weight ranges are approximate. 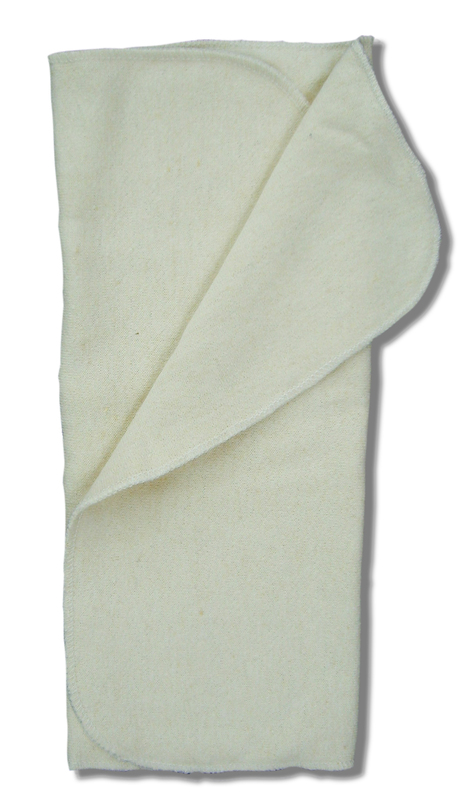 • AppleCheeks covers feature a unique envelope design, similar to a pocket diaper, but with NO NEED TO UNSTUFF. The absorbent inserts come right out in the wash! Two layers of ultra-soft 70% rayon from bamboo/30% organic cotton fleece give you the ultimate in comfort and absorbency! Fold this approximately 12" x 15" insert into thirds and you get six layers in the soaker zone. Rayon from Bamboo is perfect for the heaviest wetter as it retains twice as much moisture as cotton alone for its weight! And plus rayon from bamboo's antimicrobial properties make it the healthy choice for your baby's bottom. Rayon from Bamboo is the cloth diapering choice! 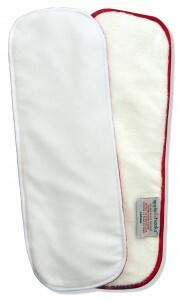 This insert has a white side (stay-dry microFLEECE side) and a white with red stitching and label side (absorbent microTERRY side). When placed ON the cover for the cover+insert method, the white side faces UP. When placed IN the cover for the pocket method, the red stitching side faces UP. As well, the label on the microterry side clearly indicates that this side is NOT to go against baby’s skin. Size 1 - 7-18 lbs. Size 2 - 18-35 lbs. Size 3 - 30-65+ lbs. Sizee 4 - 60-100+ lbs. 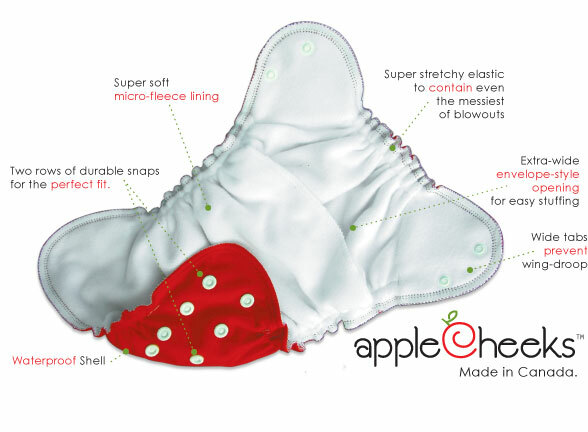 **Special Needs - Applecheeks Size 3 diapers will fit big kids much longer than many other cloth diapers on the market.